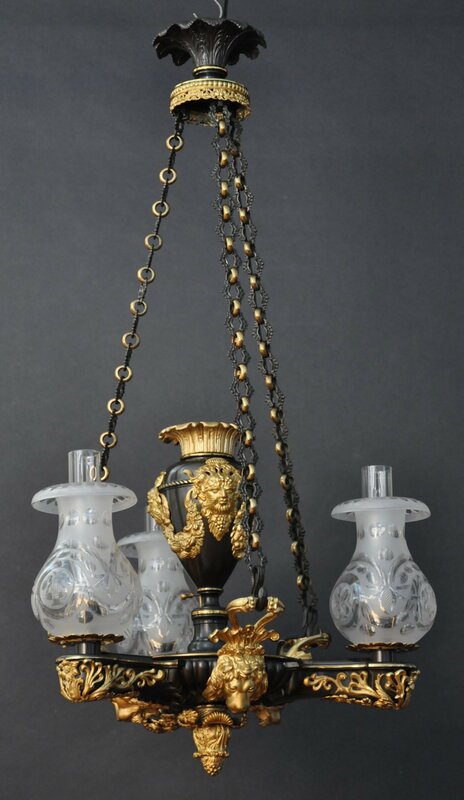 This beautiful three-light chandelier is finished in a patinated and two-tone gilt lacquered finish. The tall font is decorated with classical masks with horns. Between the masks are swags of fruit. The brackets holding the chains are adorned with beautiful lion’s heads. The link and ring chain is suspended from a foliate cast canopy with an attached decorative gallery.